The next generation, Z for those keeping up, are heading to adulthood. Born between the mid 90s and 2000s, they grew up as online natives. Generation Z have firm ideas about the importance of honesty, personal acceptance and individuality that will undoubtedly impact the wider world, not least as they account for 18% of the world’s population and $44 billion buying power in the US alone. While they’ve been waiting for adulthood, the beauty world has continued its radical changes. One of the most newsworthy and prevalent elements of which is the rise in cosmetic procedures in recent years, for men as well as women. So, how will the current popularity for cosmetic procedures and the new Gen Z outlook collide? Cosmetic produces, specifically non-surgical treatments, are on the rise. Private healthcare search engine WhatClinic, note clinics offering dermal fillers in London reported a 35% year on year increase in demand, with lip fillers up 22% in 2016. Fillers are one of the most popular procedures, especially among millennials, and are likely to continue to be with Generation Z. Dermal fillers and lip fillers, also known as lip augmentation procedures, are readily available anywhere in the world, at relatively inexpensive prices, making them very accessible. 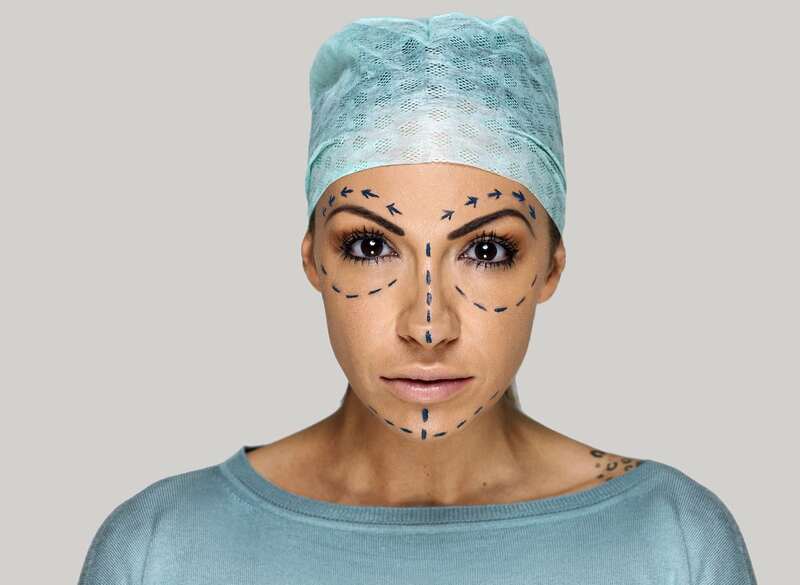 While cosmetic surgery procedures, such as facelifts, were popularised by older celebrities who are well loved by the baby boomer generation, the celebrities and influencers that Gen Z look up to are augmenting their appearance earlier in life and in non-surgical ways. Take the Kardashian/Jenner clan as an example. WWD reports that teens are increasingly asking for lip fillers to capture Kylie Jenner’s plump lip look. These teens are seeking to recreate a look that is most certainly not natural. But do they know it isn’t? It’s hard to say because while Generation Z prides themselves on honesty, they do seem to show a naivety with regards to the online world and “natural beauty”. YouTube star Gina Shkeda recently spoke out after fans praised her natural beauty. But Gina was quick to point out their mistake, commenting to one poster: “Girl I have micro bladed brows, lash extensions in and lip injections. I don’t even look like this. You’re flawless”. For better or worse, online influencers, like YouTubers, are creating a duality for beauty standards. While they talk to their fans about accepting their own beauty levels, they are also showing them how to fix the aspects that they don’t like. The mentality that dermal fillers and lip injections look natural and that everyone is doing it could easily cause their popularity to skyrocket in the next few years. Will Generation Z stop accepting natural beauty? Beauty Blogger Claudia Wright spoke to the Guardian recently about her cosmetic procedures, specifically lip enhancements. She stated that she’s “not trying to look natural” with regards to her procedures. So what happened to natural beauty? In many ways, the beauty, along with the fashion and celebrity, industry has never really bought into real beauty. Whether it’s a simple as hair colouring, or as complex as magazine cover photoshop, the ingrained idea that what you are in your natural state is not enough, is everywhere. As a rebuttal to the growing, widespread understanding of these skewed representations of beauty, online trends such as the #nomakeup challenge have surfaced. Similarly, thanks to the rising popularity, and understanding, of feminism, bolder strides are being made to create realistic role models, particularly for young women. Alicia Keys is a good example of a celebrity challenging beauty expectations. Keys now infamously does not wear makeup. Even Barbie, well known for creating a doll that had unrealistic proportions, has made the move to diversify its range of dolls. While we’re only in the relatively early stages of understanding Generation Z’s beauty standards, there are early indications that they will be creating a forked road: one where cosmetic procedures are taken to their limit on one side, and natural beauty with no augmentation at all is on the other. There has never been a more divisive time for beauty standards, nor a more unclear path for where trends will take the next generation. Likely, Generation Z will follow the current trend of increasing numbers of non-surgical cosmetic procedures, like lip fillers, to augment their appearance, hoping to improve their sense of self worth. But, because of their need for honesty, they will be open about their choices, which could lead to improved confidence as they are able to make changes that help them. Featured image: Lwp Kommunikáció Jodie Marsh: plasztikai műtétek – CC license 2017 via Flickr. Next PostWhat Nation Is The Most Beauty Obsessed?